The fact is science is politicized. Politics, and its power, corrupts. We need wall of separation between science and government. London 31 October: A new report published by the Global Warming Policy Foundation reveals the extent to which current policy-making is reliant on untrustworthy peer-reviewed research, much of which cannot be replicated and “may be simply untrue”. “Fraudulent research makes it past gatekeepers at even the most prestigious journals,” says Donna Laframboise, the study’s author and the investigative journalist behind the 2011 exposé of the Intergovernmental Panel on Climate Change (IPCC) entitled: The Delinquent Teenager Who Was Mistaken for the World’s Top Climate Expert. 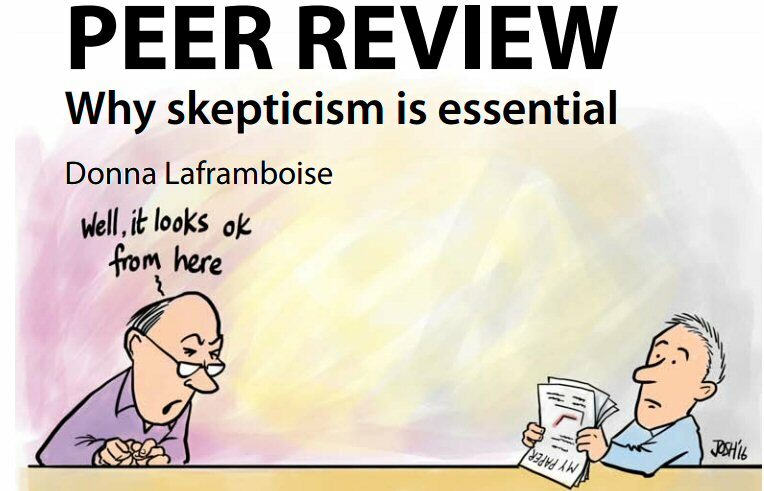 The report, entitled Peer Review: Why Skepticism is Essential, describes the peer-review process as “haphazard and byzantine”, raising serious questions about the state of modern science and casting doubt on policies that claim to be ‘evidence-based’.